That’s the indoor season finished, time for us to go back out into the fresh air. Great to see that we now have a steady number of players attending every week, we are also fortunate to have a great bunch of lads and a great venue to play at. The indoor season saw us lose a couple of players to injury. Thankfully, nothing serious, but serious enough to affect their life outside of football. When you’re knocking on a bit and injury starts affecting your work, it’s time to hang the walking football trainers up. On the plus side, we did gain a referee, although he’s unable to play now, Bob Millar gives up his free time to referee the games for us, it’s appreciated by everyone. Cheers Bob. In fact, Thanks to everyone who turned up to help out when they were injured. Top scorer for the indoor season Was Dave Milne with an impressive tally of 113 goals; runner up was Jake Ferrier with 52 goals. A night out for the usual trophy presentation is being planned as I type. Your attendance for this would be greatly appreciated. There are a couple of things you should note before we move back outdoors. 1. We start at 19.00, be at the guardroom no later 18.40.There is a possibility that you will not get in if you arrive late. 2. We will be playing a 3 touch game. Thanks to all the teams who took part in our quiz last night. It was a very enjoyable evening hosted by our very own Sye Webster. The worthy winners of a very good quiz were The Stooges, Congratulations guys, you done well under the circumstances. We would all like to thank you for donating the drink money back to the club, cheers guys, great gesture. 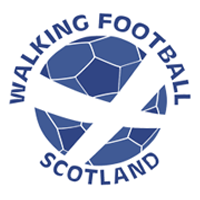 In other news – The Scottish East Region Walking Football Group are looking into starting up a league, this will be run using the rules recommended by Walking Football Scotland (three touches etc). They are proposing that games be played in Dundee on a Sunday morning. It’s all at the planning phase at the moment, but you will be kept up to date with any further developments. 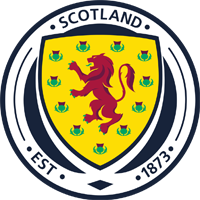 Walking Football Scotland are also planning to run SFA walking football referee courses, if anyone is interested in attending, give me a shout. There is a friendly match (or matches) being organised against our friends at Montrose Walking football. We hope to send a couple of teams up on a Wednesday evening. Again, more news as soon as it becomes available. Due to the age differences at the club, we are planning separate trophies for the lads who are over 60. Top goal scorer and the players player of the season will be up for grabs. If you’re reading this as a non-member (male or female) and might be interested in playing, get in touch by commenting or using the contact form on the website. 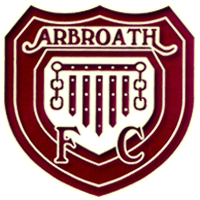 Even if you’re outside of Arbroath, we will put you in touch with a club close to you.